Why I Chose To Encapsulate My Placenta.. And How I Did It! My history during the postpartum period hasn’t been the best. After the twins I spiraled into a pretty severe depressive state due to many factors. It took a lot of work and a lot of time to move past it. With Monkey, having the time we needed to bond after birth and finding a way to make our breastfeeding relationship successful made a big difference. Anxiety and depression still came, but it was easier to work through and move past. Doodle’s almost perfect birth, bonding, and breastfeeding relationship really helped improve the postpartum period for me. The anxiety still came, but it was relatively mild and disappeared without much work on my end. This time, having had depression during the pregnancy and knowing that increased my chances of having PPD, I knew I wanted (and possibly needed) to consume my placenta. I actually planned to encapsulate my placenta with Doodle baby in 2009. Unfortunately due to his surprise unassisted birth and my unplanned stay overnight in the hospital, it was left out on the counter top. When I returned home the following evening, I had to dump it. I was so sad!! I thought at the time we would never have another baby, but if we did I knew I would make sure that did not happen again. 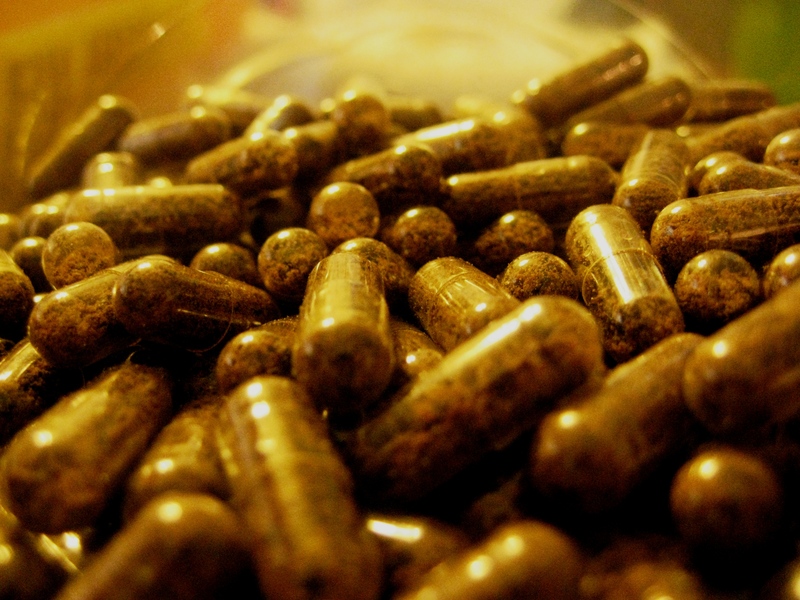 When I discovered I was pregnant last July, I knew I would be encapsulating the placenta. If I knew nothing else in all the chaos and excitement of another baby, I knew that! I was so excited to get another shot! After reading all the information regarding what our placentas are capable of giving back to us, I had to try it. 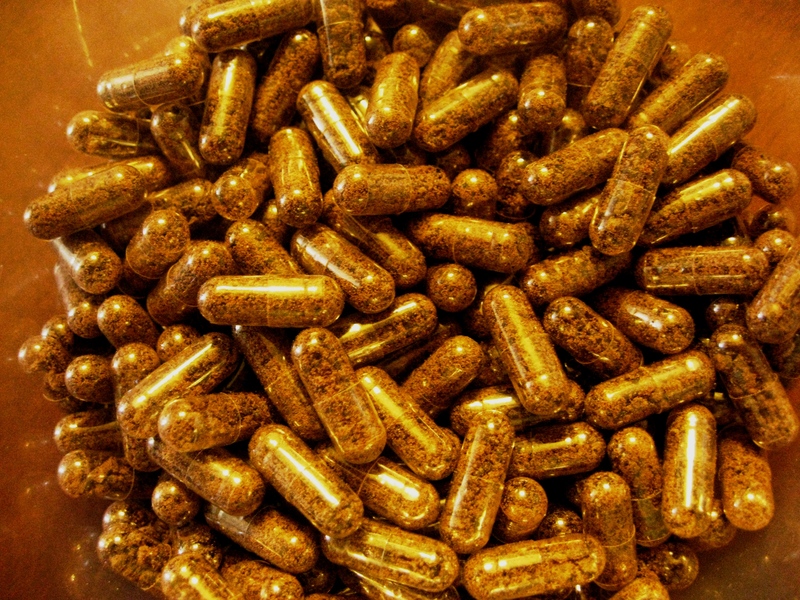 A major consensus regarding any scientific evidence about the benefits of placenta consumption is still out, but some studies claim it can lessen the likelihood of PPD and the baby blues, offer an easier recovery from birth, increase milk supply, replenish iron, increase energy, lessen bleeding, and give you an overall happier postpartum period and recovery. And all the anecdotal evidence had me believing it may really work. I have read so many testimonials about women’s experiences and knew this was a good choice for me. 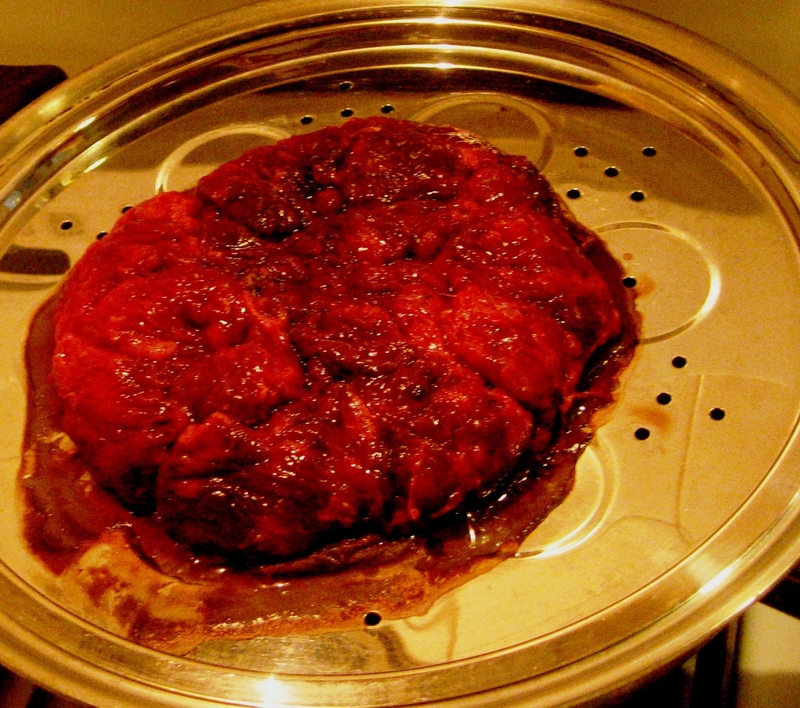 Immediately following the birth of Adda, my husband placed the placenta into an airtight container and placed it into the freezer. Originally I wanted to hire someone to encapsulate it for me, but I am a control freak and I really wanted to be involved in the process. I decided to wait and do it myself when I felt up to it. With family visiting and a bit of readjusting to life with 5 kids, we were suddenly at 4 weeks postpartum when I realized I was losing my temper and feeling overly emotional for no real reason. My anxiety levels were starting to creep up, too. I found myself worrying needlessly over everyone in the family. I began imagining terrible events that were very unlikely to actually occur. I needed to do something. I remembered it and pulled it from the freezer to defrost over the course of two days in the fridge. When it was finally defrosted, I set out to encapsulate it. I bleached all areas I planned to use and thoroughly rewashed every dish, utensil, and pan that I needed for the process. 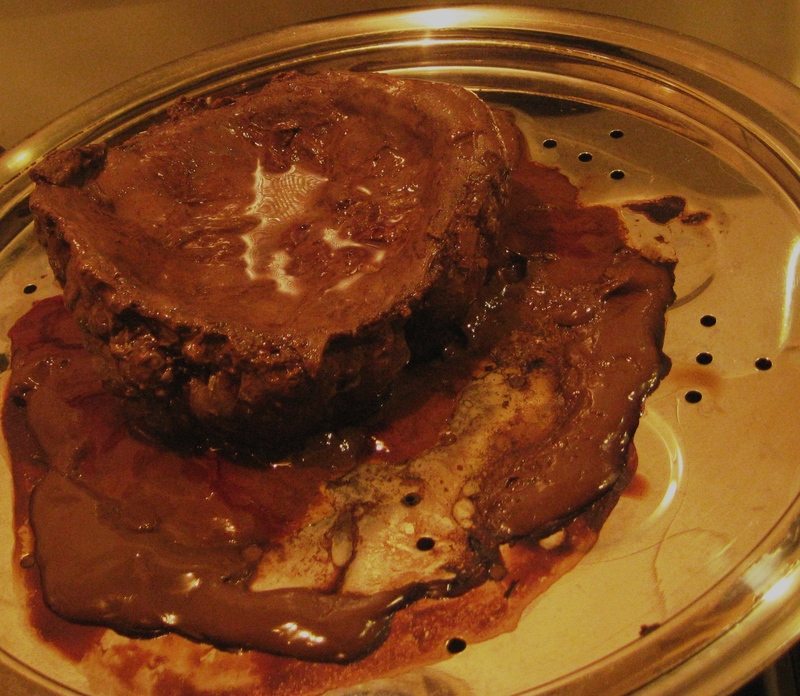 And I set my oven to it’s lowest setting which was 170 degrees. 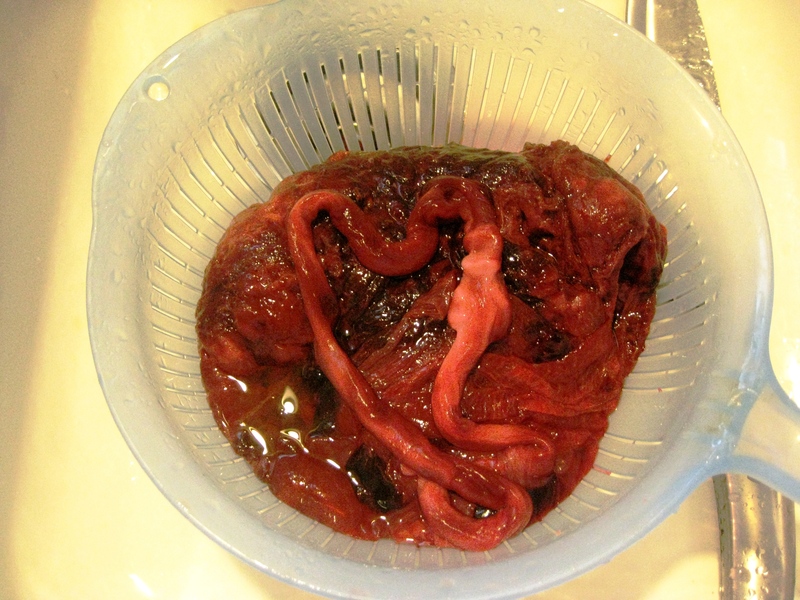 I placed the placenta into the strainer in the sink and rinsed it thoroughly being sure to remove any blood clots. I cut the cord at the base and removed the sac. I would have left the sac and wrapped it around the placenta, but mine was simply too thin and would tear any time I stretched it even a little. 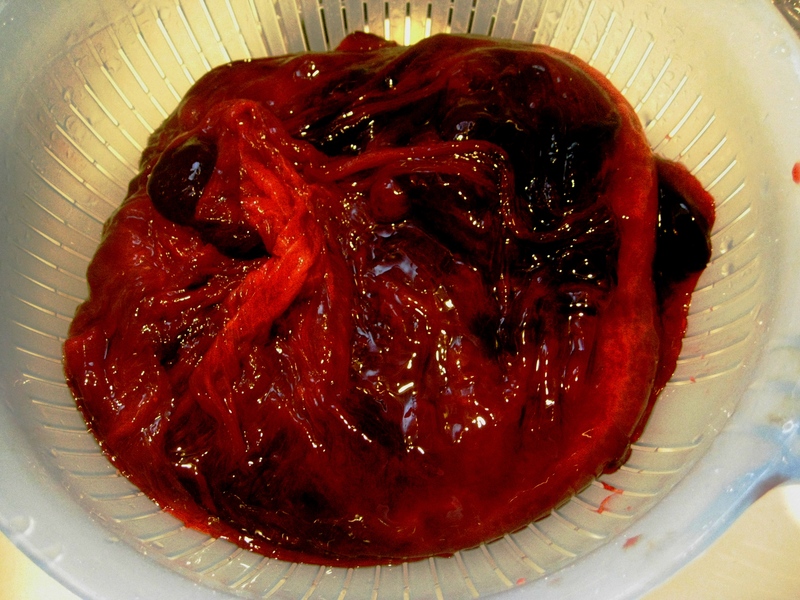 You can choose to keep it attached and simply ball the placenta into the sac and remove it after steaming. I pierced the placenta a few times with a metal skewer and I bled the placenta as much as possible, continuing to rinse it. I added water under the steam plate and boiled it. Then I placed lemon and lime slices on top of the steam plate and the placenta on top of those. Once I added the placenta, I covered it. I steamed it for 15 minutes per side. This was by far the grossest part for me lol. It just looked so .. weird. And smelled a bit like liver.. eek!! 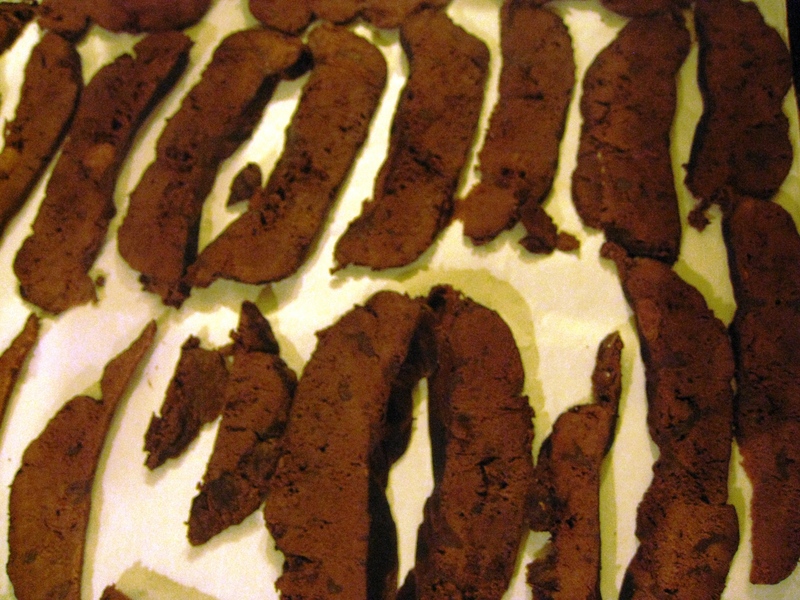 I placed the cookie sheet in the oven and let the strips dry for 30 minutes. Then I removed them, flipped every piece over, and returned it to the oven for 30 minutes. I repeated this process several times, until the strips were dry and almost brittle. I think I did it for 7 hours. I then placed each piece in a ziploc bag and left in the refrigerator overnight so I could get some sleep. Unfortunately, in my fog-filled mind the following day I forgot to take a picture of the dried strips before turning them into dust. Whoops! 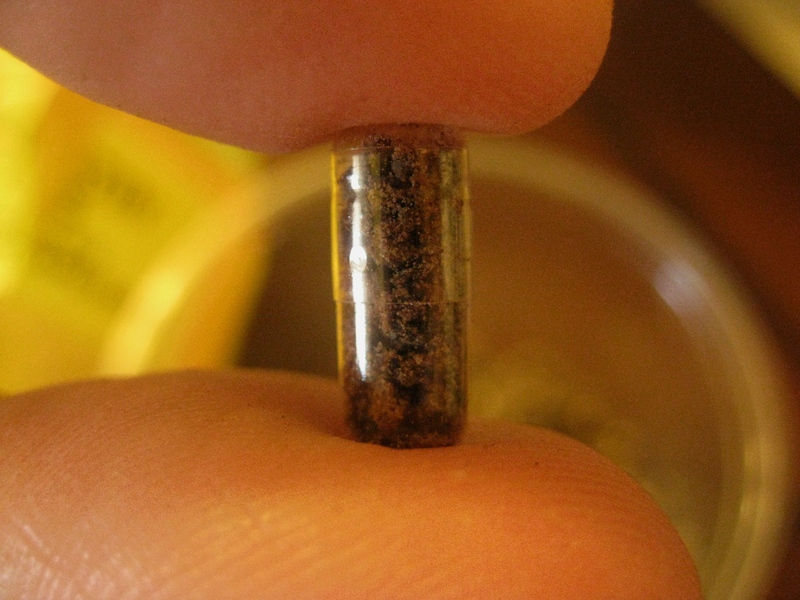 I wish I had gotten a picture as I think it would have been one of the most useful ones for someone looking at placenta encapsulation for the first time. 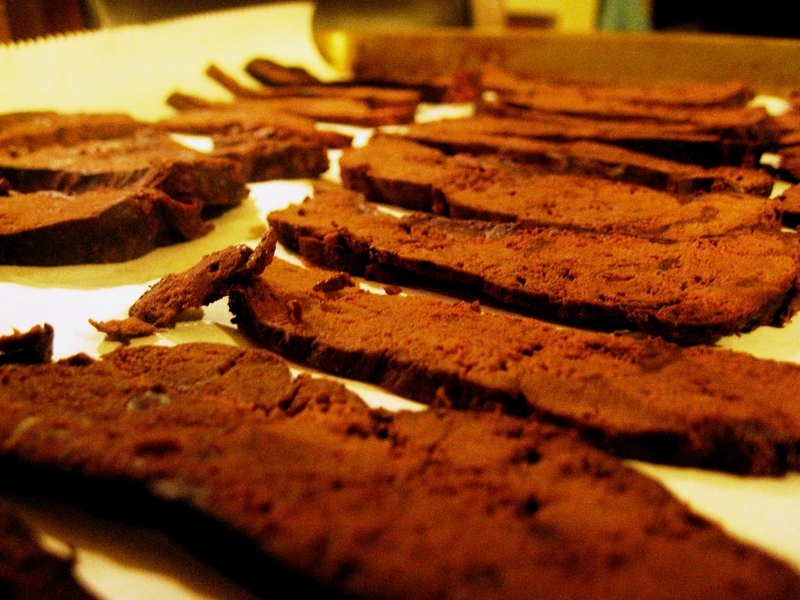 However, this guy has some great pictures of dried strips if you are interested. So back to turning the strips to dust. I took the strips and broke them into smaller pieces to give my poor blender a break. 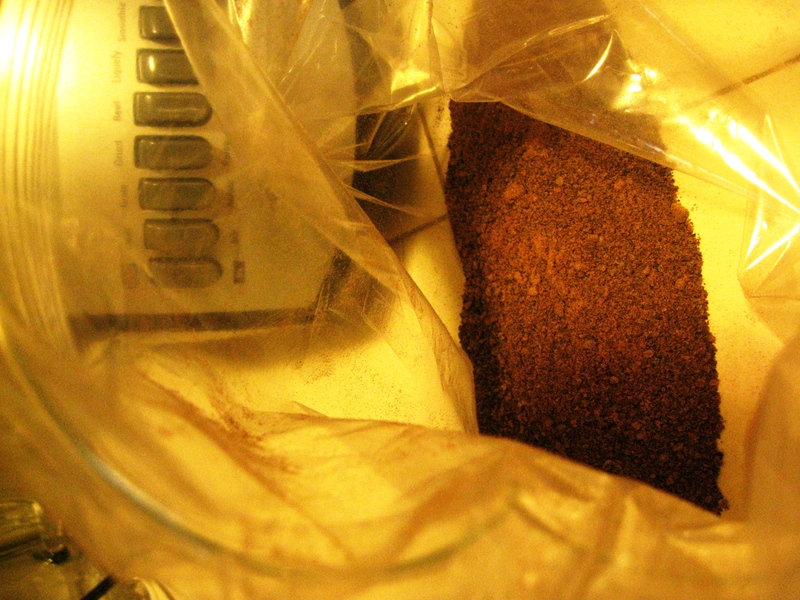 I decided to use the blender first.. and break out the food processor only if necessary. It wasn’t! 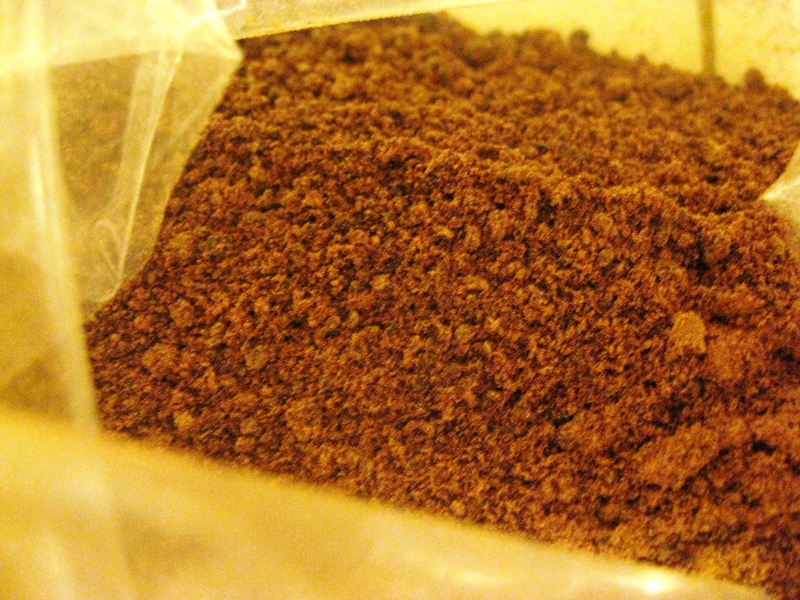 Then I broke open the bag of size “3” gel caps (only size I could find locally, most prefer size “00”) and began filling them with placenta powder. I ended up with roughly 300 capsules. My placenta was actually quite small compared to Doodle’s though. 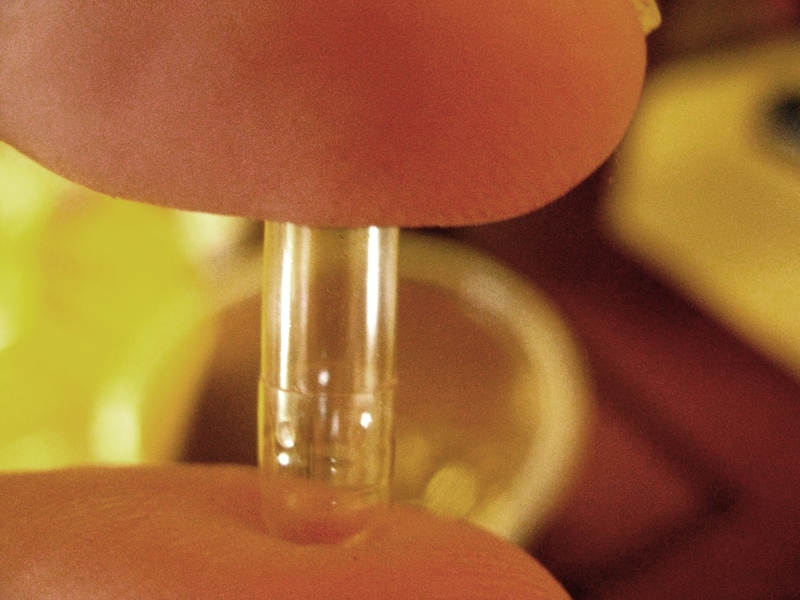 The very small size “3” gel caps that I used are about half the size of the capsules that most use for encapsulation of the placenta. I started taking 3 pills twice a day on April 30 and noticed a total difference in my mood and ability to handle life by May 2nd. Just 3 days. My rapid mood swings and my high levels of anxiety completely disappeared within 5 days. It is May 9 today and I feel normal and back to myself. I even feel confident enough now to drop down to just 2 pills, once a day. 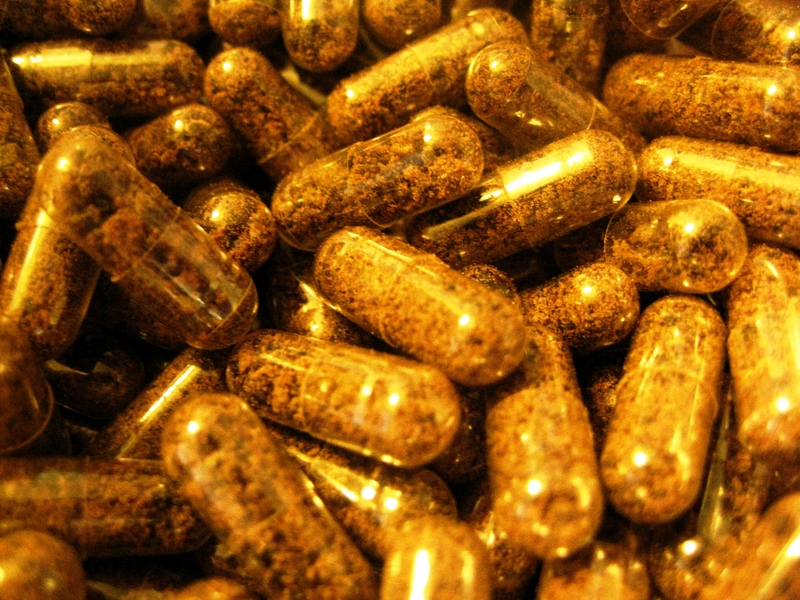 I never would have really believed the benefits of placenta encapsulation if I hadn’t experienced them myself. I would recommend this to anyone worried about milk supply, PPD, mood swings, painful postpartum, heavy bleeding, fatigue and any other ailments mothers may experience in the postpartum period. If this is something you are considering, please don’t let the “ick” factor deter you. It is absolutely worth it. And if you can’t afford a placenta encapsulation specialist to do it for you, you can do it yourself!